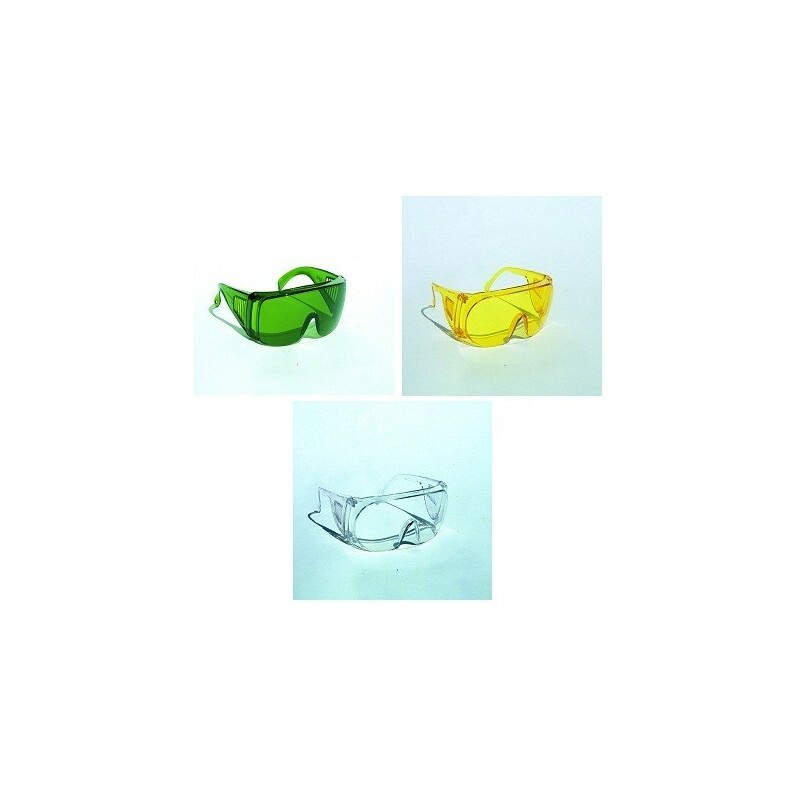 SAF-T-CURETM UV FILTER GLASSES provide 99.9% UV protection. Designed to fit over most prescription glasses while providing a distortion-free, panoramic view. 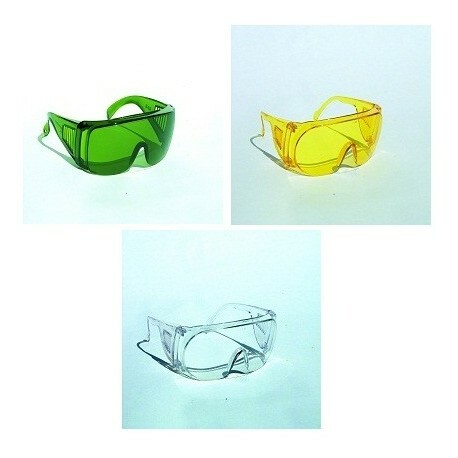 Available in 3 colors (green, yellow, and clear) to suit individual viewing preferences. All styles are impact-resistant, a benefit that is particularly appealing in a workshop. ANSI Z87.1 compliant and OSHA approved. Sold individually or 24/case.